I’ve been teaching my year 10 English class Simon and Garfunkel’s “At the Zoo”. For those unfamiliar with the piece, the latter verse of the short song is a rundown of the state of inter-species politics at the Central Park Zoo. “Zebras are reactionaries / Antelopes are missionaries” etc. The effect is that of a children’s song written for adults, and I feel like there’s got to be some good English lessons to be taken away. So all week I’ve been using the song for more than just singing. It’s not ideal though. 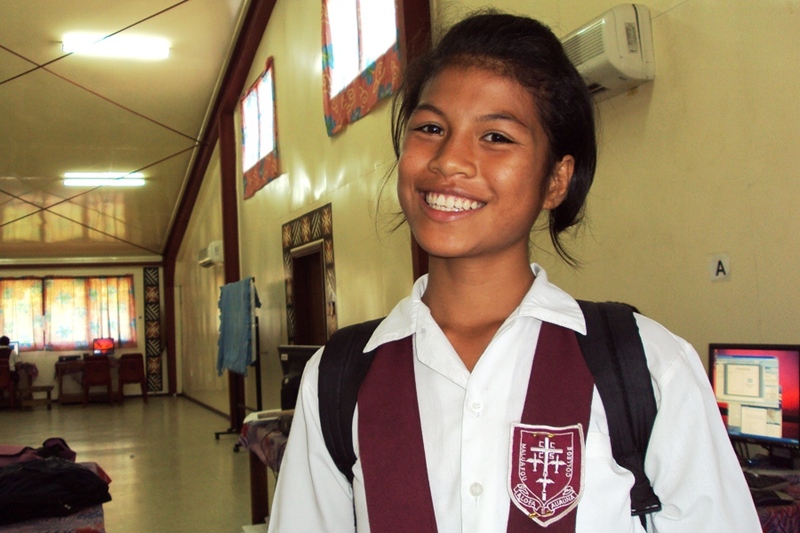 For one, Samoa doesn’t have a zoo, so the concept is obscure if not baffling to my kids. Going along with that, I don’t think most of my kids have seen a giraffe in person, or an elephant or very many of the other creatures in Simon and Garfunkel’s menagerie. But there are occasional nature shows on TV here. My host family had a few books with pictures of various animals from around the world. So we’ve been making do. 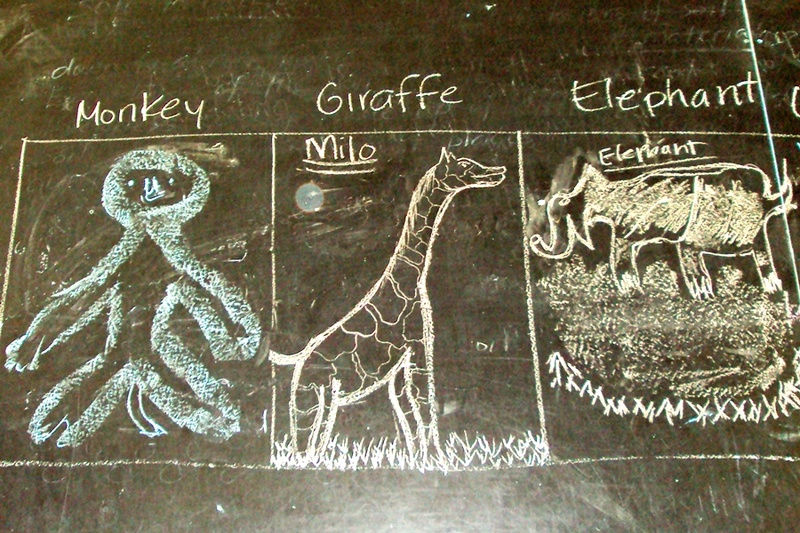 This posed a problem yesterday when I had my kids try and draw the animals the way the song describes them. 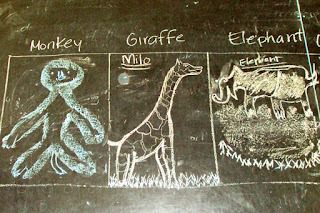 Monkeys standing for honesty went okay, and portraying a kindly-but-dumb elephant was easy enough, but the kid who drew the reactionary zebra was clearly taking shots in the dark. 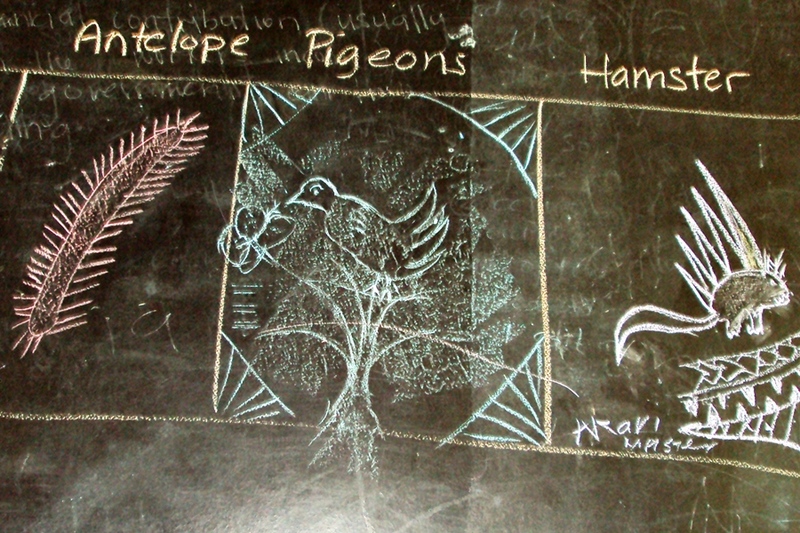 The class corrected him, but I so loved his original picture I had him re-draw it after he erased it. Today’s lesson was my favorite though. 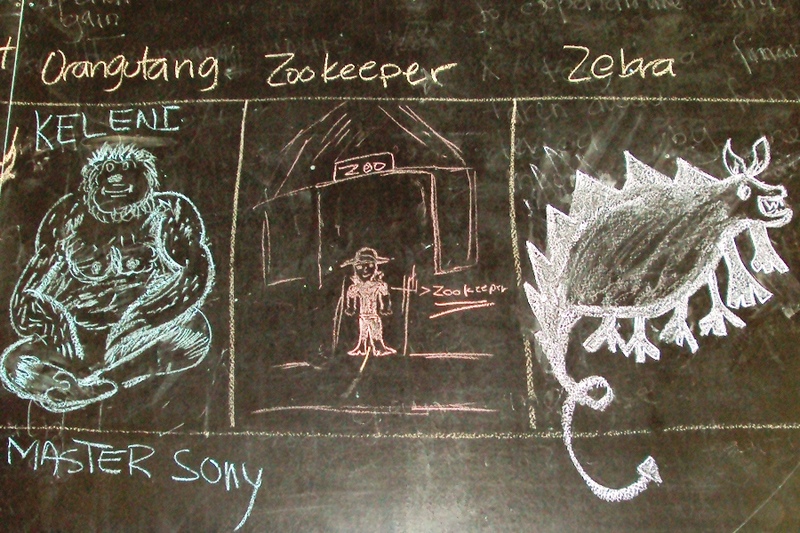 We wrote our own bizarre personifications of Samoan animalia. The animals we came up with were less “zoo” and more “petting zoo”—dogs, cats, cows, pigs—but that didn’t hinder the assignment. 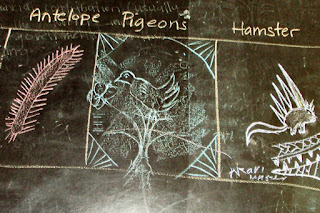 At first the kids had a difficult time wrapping their minds around the concept. I got a lot of sentences like “The dogs don’t like the cats, but they do like bones.” I told them to separate themselves from real life, and to try to think of something funny. (My personal favorite:) Pigs are strong and silly, and they always want to play dress-up games. It's a nice pigeon. The hamster looks a little like Sonic the Hedgehog. The antelope looks like an unidentified giant microbe. Maybe Listeria? The beautifully drawn orangutan, the zookeeper, and the amazing zebra, which is amazingly reminiscent of Trogdor (Watch the whole video.). 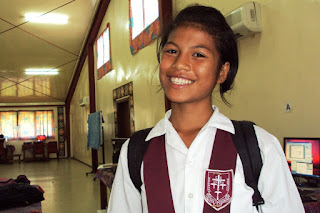 Year 9 Nakisa wins my unpublished magazine award for best smile. The antelope looks like a centipede. Nice work! Thanks, now I can't get that song out of my head.